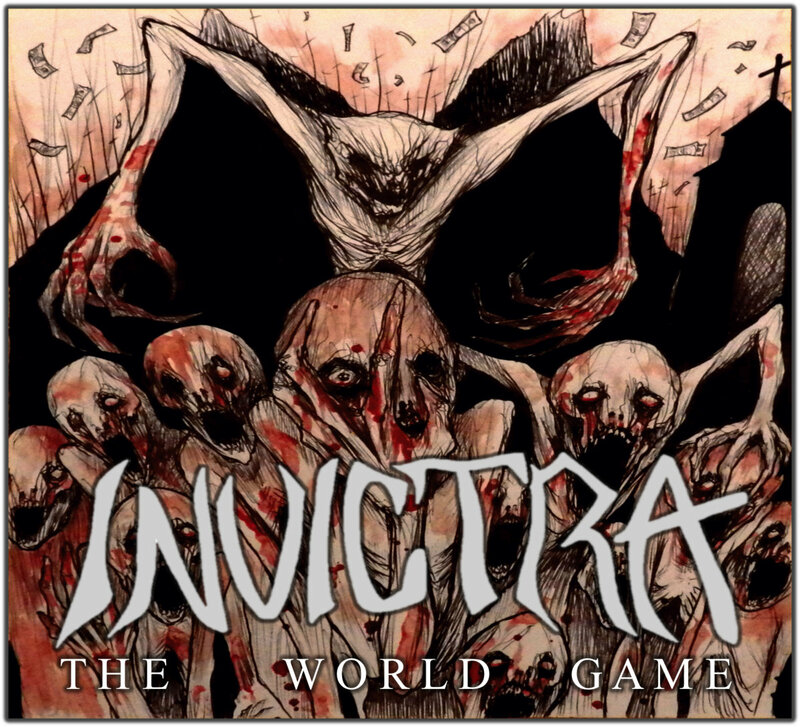 Rochester, NY-based metallers Invictra put out their debut album ‘The World Game‘ back in March. In a new interview for Prog Sphere, guitarists Josh Zalar and Alex Dunn, and drummer Dylan Thompson, discuss about the band’s mission, the creative process behind the album, and more. Define the mission of Invictra. Josh: To deliver some rip roarin’ heavy metal to everyone who listens! Dylan: To destroy everything in our path with what we do best. Tell me about the creative process that informed your recent album The World Game and the themes it captures. Josh: Songs start with a riff, and then we build from that. Lyrically, it was a bunch of different things. Everything from government conspiracies, political climate, to dealing with loss. Dylan: Like Josh said, it starts with a riff and then it takes off. 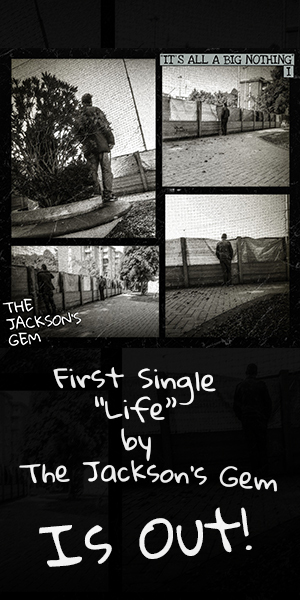 A lot of social and personal issues are discussed on the record. What is the message you are trying to give with The World Game? Josh: Think for yourself, don’t let people tell you how to live. That’s the beauty of metal music; you can have a strong message like that. I just hope it resonates. Dylan: Be your own person, it’s the best way to live. Josh: I record riffs on my phone, then loose song structures on my laptop. There’s all kinds of free music software that should be utilized if you’re trying to compose music. Dylan: I’ve heard riffs that were hummed into a phone by Alex. We try to utilize any medium we can to capture ideas. Alex: Definitely, we tried to construct the album as an entire entity with peaks and valleys in the flow of the music so as you listen to it all front to back it serves as a musical adventure. Dylan: Every song is a different journey so it always keeps you hooked. No one wants to hear the same 10 songs over and over. Josh: Half of it was songs I brought to the table, the other half was collaborating with Alex and Dylan with ideas or riffs. I’d take them home and string the rest of the songs together and get the seal of approval from those two. How long The World Game was in the making? Josh: Writing wise, we had 3 of the songs written before October, and the others came over the next 5 or 6 weeks before we recorded from December to February. Alex: I’d say from the start of the first song to the finished product being released it was about 14 months total. There was a lot of time in between were we just had about 2 or 3 songs and were unsure about the possibility of a full length LP but we put in the work and finished with something we’re all very proud of. Dylan: From start to finish I’d say it was about a year in the making. It was a long journey but it was worth it because I’m very proud of what we’ve done. Josh: Megadeth is my biggest influence, especially since we’re a guitar driven band. Personal influences of mine are Jason Becker, Stevie Ray Vaughan, Alex Lifeson, Marty Friedman, John Fogerty, and Alex Skolnick just to name a few. I love music and artists that are guitar driven. Alex: Personally, the artists that influenced my parts on this album include Kirk Hammett, Dimebag Darrell, David Gilmour, Mark Morton and Dave Mustaine. Dylan: It’s no secret that Lars Ulrich is a huge inspiration for me, but others include Pete Webber from Havok and Nick Menza from Megadeth. Josh: Technology in music is great, it’s definitely easier recording digitally than it is recording in analog. I think a lot of times people use the technology the wrong way, a lot of metal albums start to have the same guitar tone and drum samples. That’s something that we aim to stay away from, so I think the way we utilize technology is smart and very useful. Josh: That’s for other people to decide. I just write music because I enjoy doing it. Alex: There is no intended purpose more than just to have something to listen to but if someone is inspired by the lyrics or the music in a positive way then I see that as it serving its purpose. Dylan: We wrote the music because it was in our hearts and we needed to put it out, but it’s always really cool to see it affect someone in a positive way. Josh: We’ll be playing lots of shows and spreading the word about The World Game. After a while we’ll sit back down and get more music out there, so keep an eye on us! Dylan: We’ve already started writing more and we have a bunch of shows planned, so if you haven’t heard of us you will! The World Game is out now and is available from Bandcamp. For more info about Invictra pay them a visit on Facebook, Twitter and Instagram.